Madeleine Peyroux is a jazz singer who was born in 1974 in Athens, Georgia, USA, and raised in New York City and Paris, France. She is noted for her vocal style, which is highly reminiscent of Billie Holiday. Madeleine also has qualities similar to Ella Fitzgerald. Though Peyroux may remind some listeners of Holiday, there are differences, and she has her own sense of phrasing and interpretation. Peyroux started singing at the age of fifteen, when she discovered street musicians in the Latin Quarter in Paris. She joined a group called the Riverboat Shufflers, first passing round the hat, and then singing. At sixteen she joined the The Lost Wandering Blues and Jazz Band, spending two years touring Europe performing songs by the likes of Fats Waller, Billie Holiday, Ella Fitzgerald, and others, which provided the basis for her first album, Dreamland. Dreamland was released in 1996, and gained widespread attention. Time called it "the most exciting, involving vocal performance by a new singer this year". Dreamland, is a brilliant recording, as Peyroux's distinctive voice is not hindered by overly intricate arrangements. Most of the accompaniment on the record is light and sparse, the way it should be for a singer with such a unique voice. Peyroux soon found herself opening for Sarah McLachlan and Ces&aacute;ria &Eacute;vora, and made appearances at jazz festivals and on the Lilith Fair tour. In May 2002 she joined multi-instrumentalist William Galison, and together they appeared at such venues as the Bottom Line, Joe's Pub, and the Tin Angel. In 2003 the duo released a seven-song EP entitled Got You on My Mind, which they sold at shows and online. Got You on My Mind was re-released by William Galison in August 2004; the original EP was expanded by the addition of four tracks by Gallison. 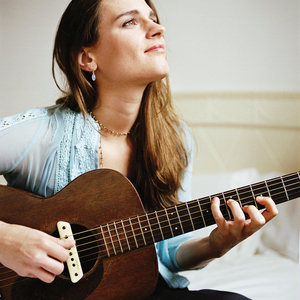 Peyroux released her own sophomore effort, Careless Love, in September 2004. The album received generally positive reviews. Her new album, Half The Perfect World, was released on September 12, 2006. She collaborated with several artists, including Jesse Harris, Walter Becker, Larry Klein (who also produced the album), and k.d. lang, with whom Peyroux duets on a cover of the Joni Mitchell song, "River". On July 12, 2007, she was awarded Best International Jazz Artist at the BBC Jazz Awards.